Get the Mississippi demographic data that you need. You can get the most current Mississippi data from the US Census Bureau without spending 8 to 10 high-value hours searching the internet. The Mississippi population is 2,986,220 people according to the US Census Bureau's 2017 American Community Survey. The Mississippi median household income in the past 12 months is $42,009 in 2017 inflation-adjusted dollars according to the US Census Bureau's 2017 American Community Survey. Mississippi has 1,308,259 housing units according to the US Census Bureau's 2017 American Community Survey. Get Radius Reports for 3 rings around any location in Mississippi for just $49. The Mississippi demographics on this site are the most current data available from the US Census Bureau. Got questions about these Mississippi demographics? Call us at 1-800-939-2130. Mississippi-Demographics.com is made by Cubit – a demographic data provider. Call us at 1-800-939-2130 or email us. 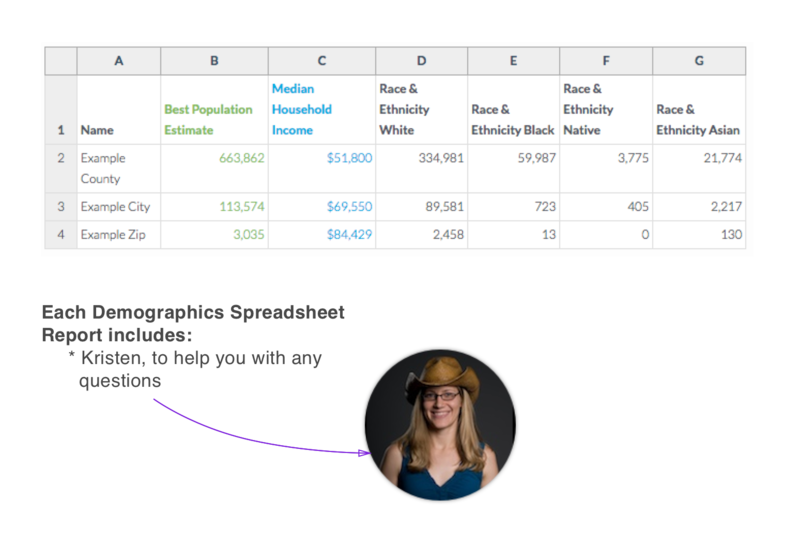 Get the most important demographics for all cities, all counties or all zips in Mississippi in an easy-to-use spreadsheet.